Thanks for your interest in colored powders in bulk! Our bulk packaging is often used at Colour Stations. 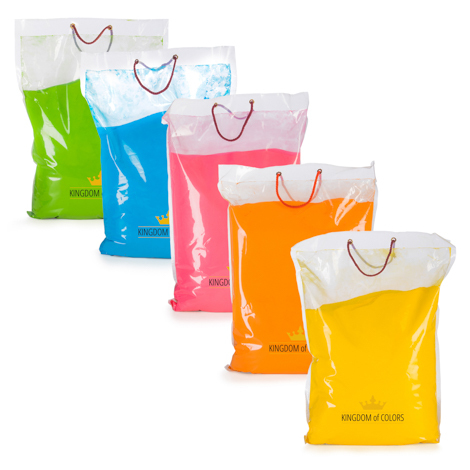 Available in 5kg / 10kg / 25kg bags. We offer 7 different, vibrant colors. Please fill in the questions below, so we can advise you regarding quantities and packaging and offer you a quotation. Orders above 200kg, we offer one of our Party Cannons for free!